Self-massage tool makes it easy to treat trigger points, reduce tension and ease pain. Massager collapses to a 12" square. Release deep tissue trigger points and muscle knots wherever they occur, significantly reducing pain and tension. 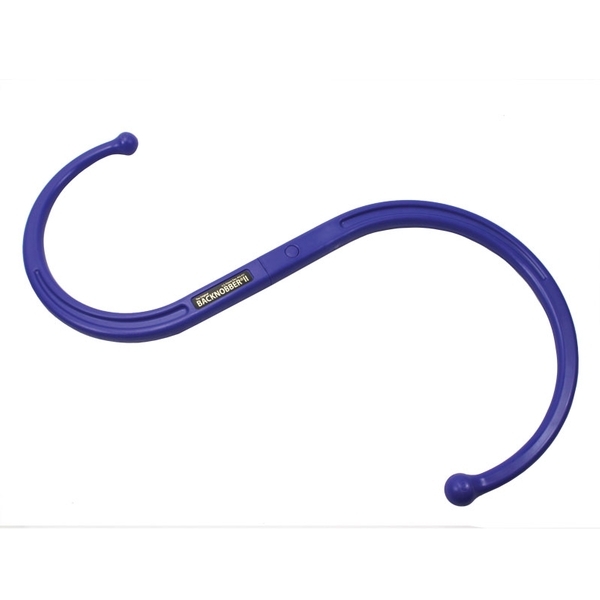 One of the most advanced self-massage products available, the Backnobber® II is ergonomically designed to deliver acute pressure in hard-to-reach areas, and it's constructed of fiberglass-reinforced nylon for strength and durability. The two-piece design means you can collapse the Backnobber II to fit into a 12" square; it easily fits in most overnight bags and briefcases. Illustrated, 35-page user guide is included. The Original Backnobber II comes in assorted colors.